San Diego is full of beautiful beaches, delicious food, and amazing weather year-round. What more could you want? 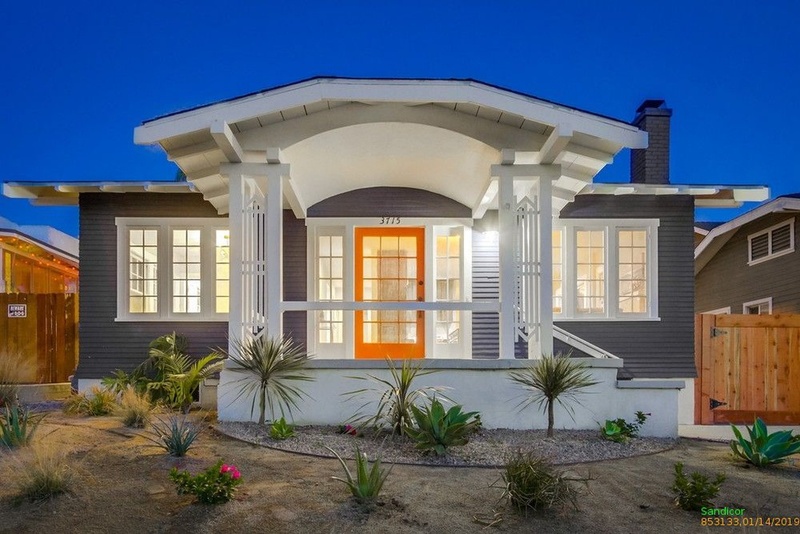 Here are 6 San Diego cottages worth a look. If you’re not familiar with the city, you probably just think of Sea World, the zoo, and lots of beaches, right? Wrong! San Diego has so many hidden treasures to explore and experience. It’s broken up into lots of different neighborhoods– many of them historic– with distinct personalities so whether you’re looking for a beach, suburban, or urban area, you can find it there. The city provides a little bit of everything for everyone and has an extremely diverse population. Check out these cool cottages for sale in San Diego now! 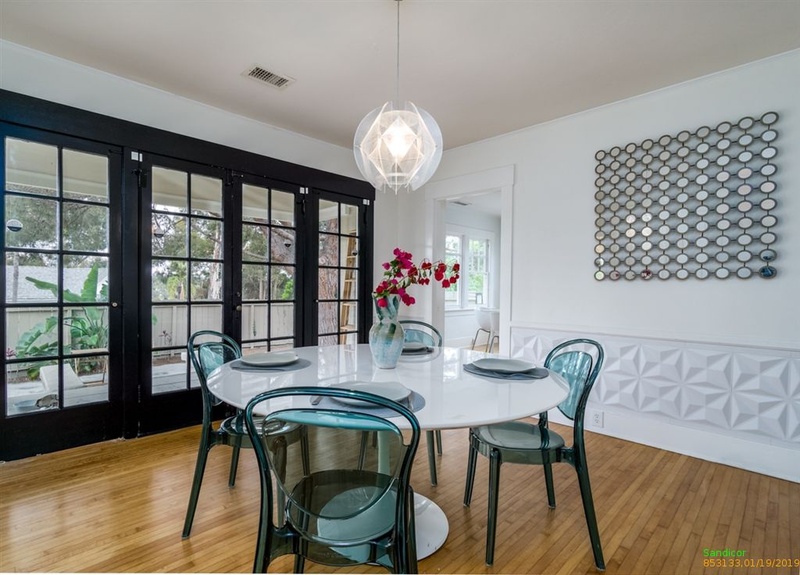 This sweet little bungalow was built in 1922 and is fully renovated. With 3 bedrooms and 3 bathrooms, it’s the perfect size for small families. While the interior skews contemporary with it’s lighting fixtures and cabinetry, there’s plenty to work with to bring in a cottage balance– plus an open floor plan makes the home spacious and airy. The property has the most charming little backyard that’s cozy and perfect to enjoy the beautiful San Diego weather. Located in the vibrant Hillcrest area, you’ll be within walking distance to all your favorite new brunch spots, bars, and coffee shops. Hillcrest is full of unique little shops and only a couple minutes north of downtown so you’ll always have something to do. 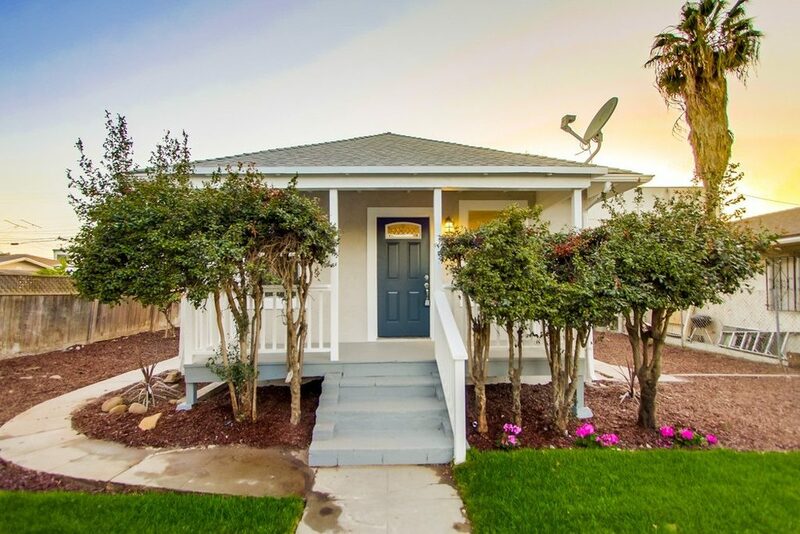 Walk through the blue door into this adorable 2-bedroom/2-bath home and find a cozy and efficient layout in this open-floor plan cottage. 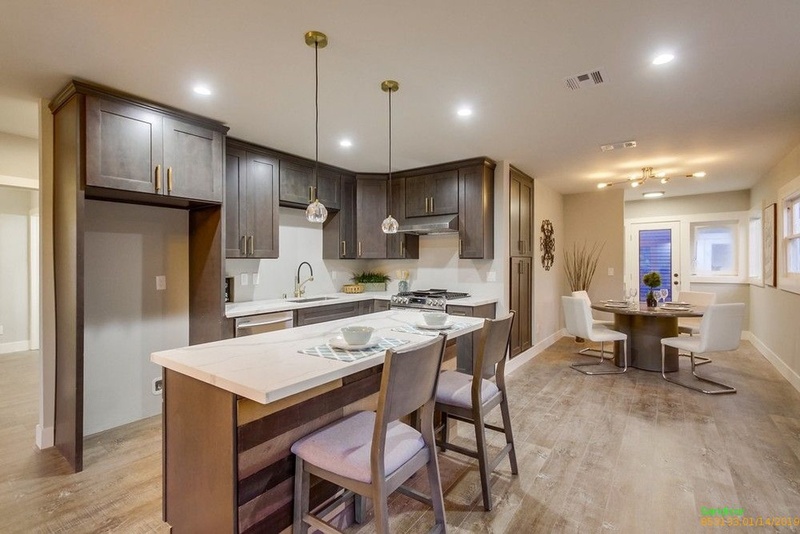 It has brand new stainless steel appliances, quartz countertops, cabinetry, light ash flooring and light fixtures. The home has a cozy front porch that overlooks a sizable front yard and a gated fence for extra privacy. 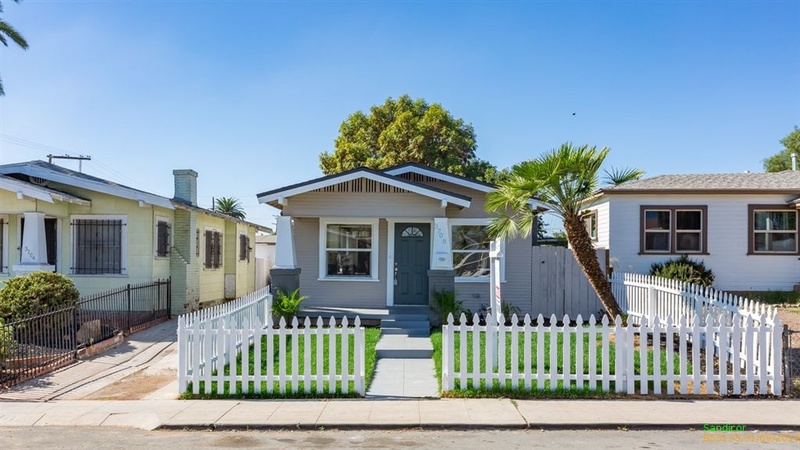 This gorgeous little house is located in the diverse City Heights area. It’s on the east side of San Diego and is known for its multicultural charm. City Heights has lots of amazing food, galleries, and bars. You’ll definitely notice the various influences that make up City Heights and love its unique vibe. 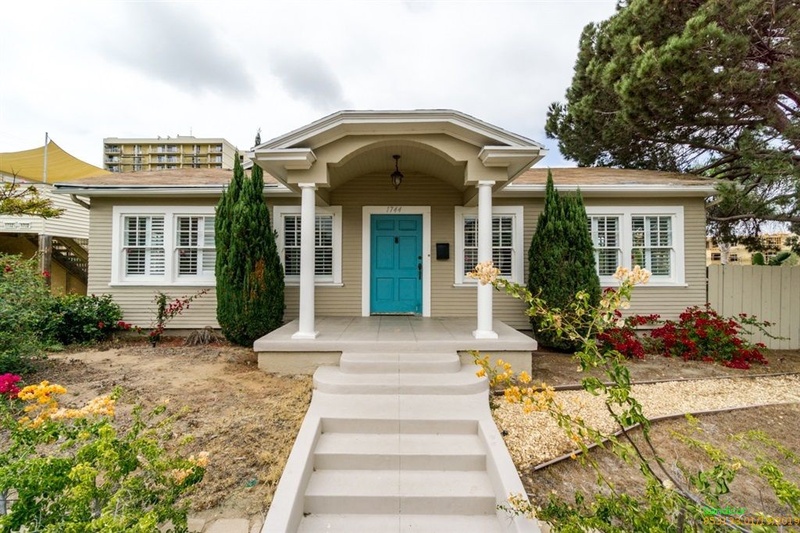 This cheerful blue bungalow has 3 bedrooms and 2 bathrooms. It was built in 1909 and has lots of charm. 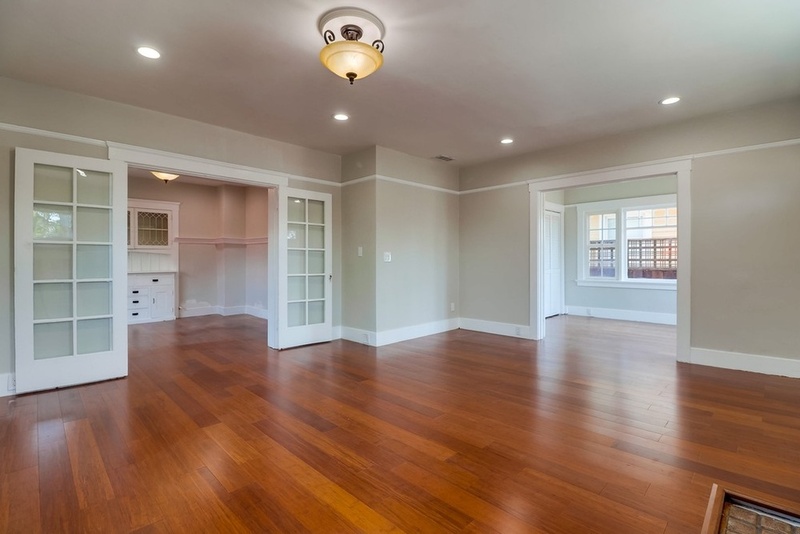 There’s a large living room with beautiful hardwood floors. Little details such as wainscoting and molding give this home a classic feel. Location is probably one of the home’s biggest benefits as it’s located in South Park. Just minutes from the beautiful Balboa Park, you’ll have access to museums, theater, and lots of sightseeing. It’s also extremely close to downtown, so nightlife and shopping are only a short drive away. South Park definitely has a relaxed, hip personality and has lots of charming craftsman homes. 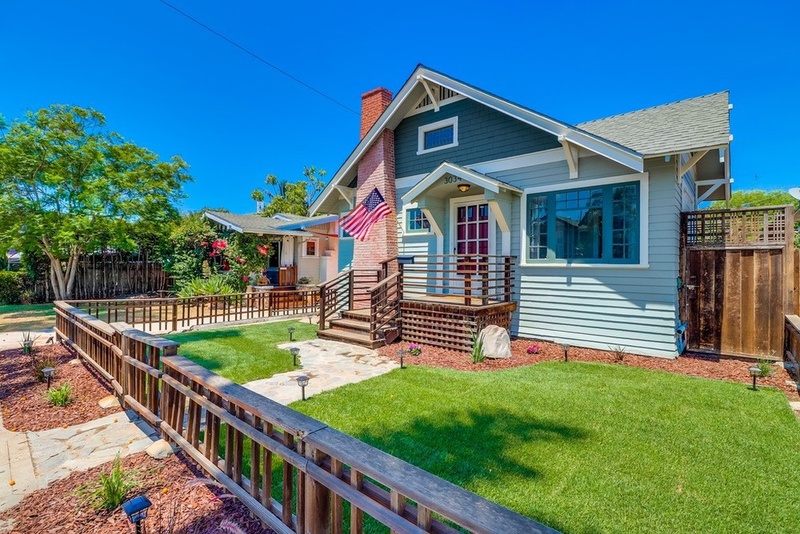 This gorgeous craftsman house is anything but boring. 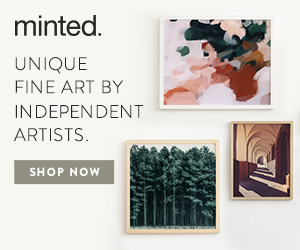 It has colorful walls and wallpaper as well as trendy lighting fixtures. A home like this is perfect for those that love flair and detail. It’s a corner house that has 3 bedrooms and 2 bathrooms. 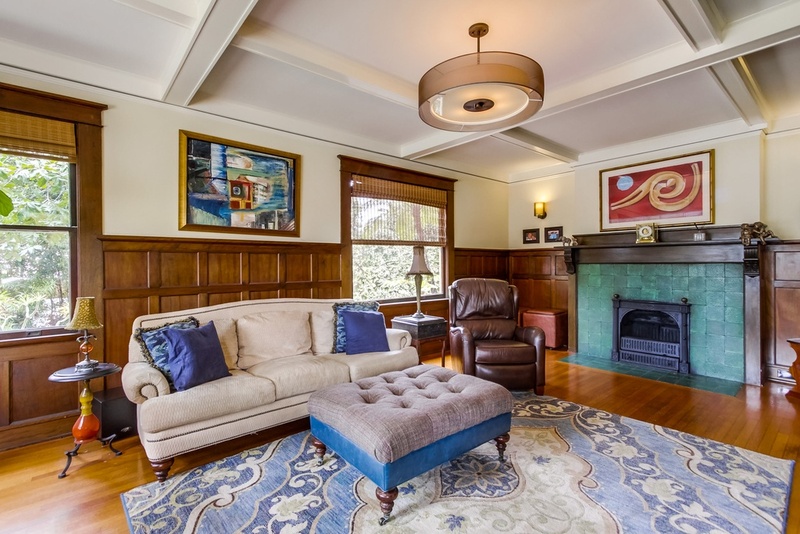 So much classic charm is apparent through the original maple flooring and built-ins. The kitchen is renovated with granite counters and sleek, modern appliances. The home is fun and modern with its renovations but still has a vintage feel. Just like South Park, North Park has a younger, more hip personality. There are lots of urban coffee shops and boutiques to visit and you can always catch a good show at The Observatory. 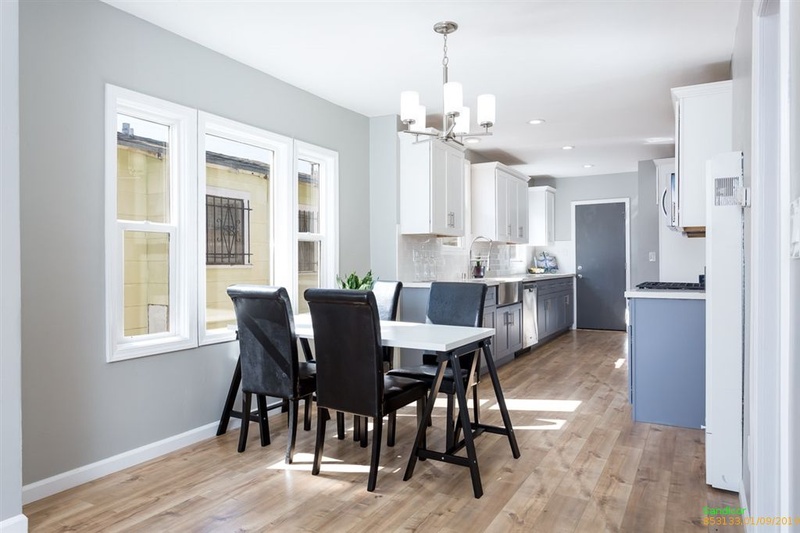 This renovated 2-bedroom, 1-bathroom home seems much larger than the 741 square feet it lists thanks to its open floor plan. The first thing we’d change? The overly modern fireplace- but painted in cool blues and grays the whole cottage still it feels warm and relaxed. The home has new quartz countertops, wood laminate flooring, and stainless steel appliances. The kitchen and bathroom have new cabinetry and a new picket fence adorns the front yard. 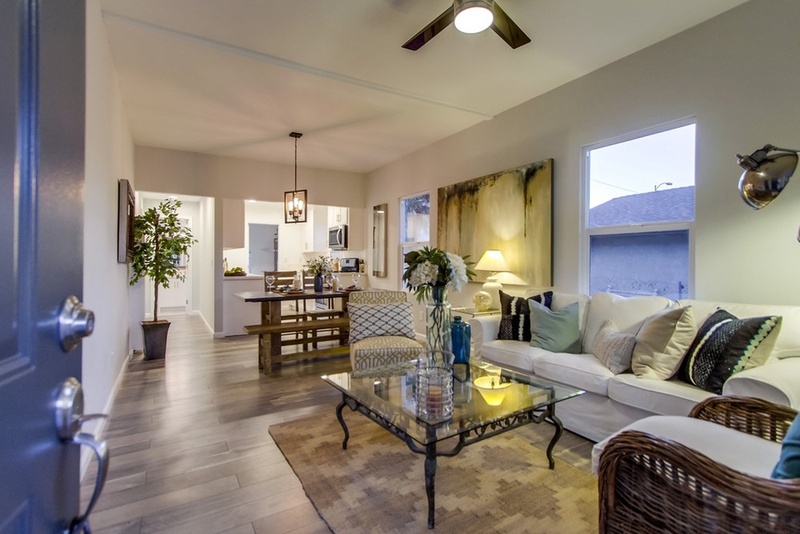 Fairmount Village is an east San Diego neighborhood that’s ideal for those seeking a quieter lifestyle and it’s only about a 10-15 minute drive from downtown so you can have the best of both worlds. Looking for a historic stunner? This massive 6-bed/5-bath Historic Mills Act bungalow has 3 stories, a basement, and a separate 2-story carriage house. 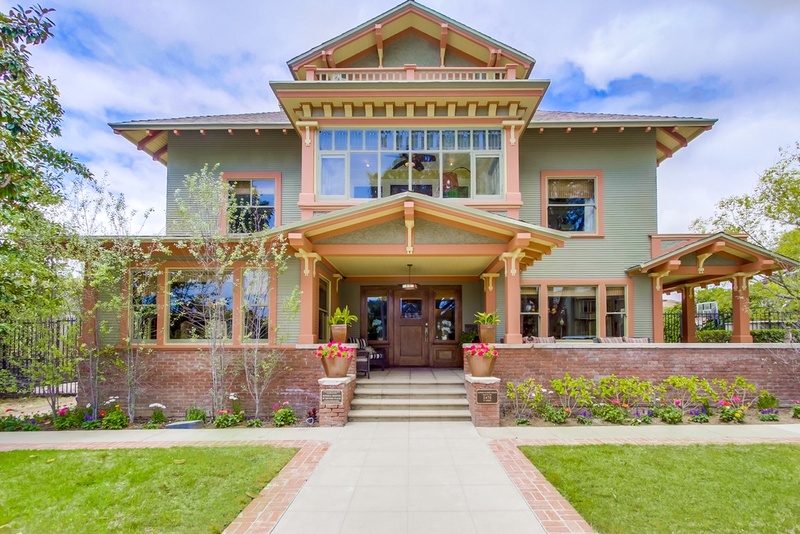 It was built in 1908 by renowned architect Charles Quale for Judge Alfred Haines in the classic craftsman style. 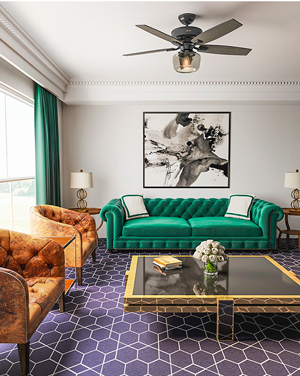 You’ll find that the restored property feels true to the era it was built in, while still incorporating modern-day features. The gorgeous wood tones, vibrant fireplaces, and spacious layout make this home truly stand out. You can feel the rich history emanating out of this one-of-a-kind home. Located in Golden Hill, you can literally walk to downtown and Balboa Park. It’s one of the city’s most historic areas so you’ll see a lot of older, stunning homes and buildings. In the mood for more house hunting? 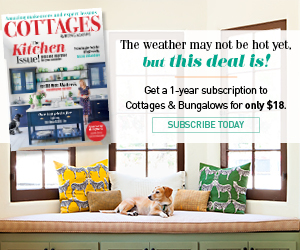 Check out this post about cottage listings in Atlanta, or this one on listings in Denver.